LNLL Golf Tournament with Helicopter Ball Drop! 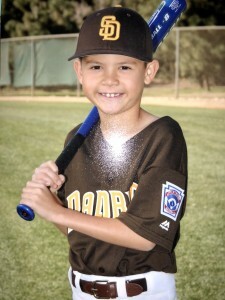 I play baseball in Laguna Niguel Little League and this year we are holding a golf tournament and golf ball fundraiser. I am asking for your generous support in purchasing golf balls for your chance to win up to $2000 in the Helicopter Golf Ball Drop. My goal is to sell a minimum of TEN golf balls! Just use the menu here on mypage to make whatever contribution you'd like. You can checkout online, and you'll get your receipt via email. I'll also get an email letting me know that you supported me! Thank you in advance for supporting Laguna Niguel Little League Baseball! Since 1970 Laguna Niguel Little League has provided baseball instruction and competitive play for boys and girls ages 4 to 14. LNLL is non-profit, volunteer run organization. Our mission is to provide all players a safe, fun and educational atmosphere to play baseball so that they learn the benefits of playing a team sport, improve their skills and increase their knowledge of the game. Thank you again for supporting me in one of my favorite sports!! I’ve had an amazing season so far! !